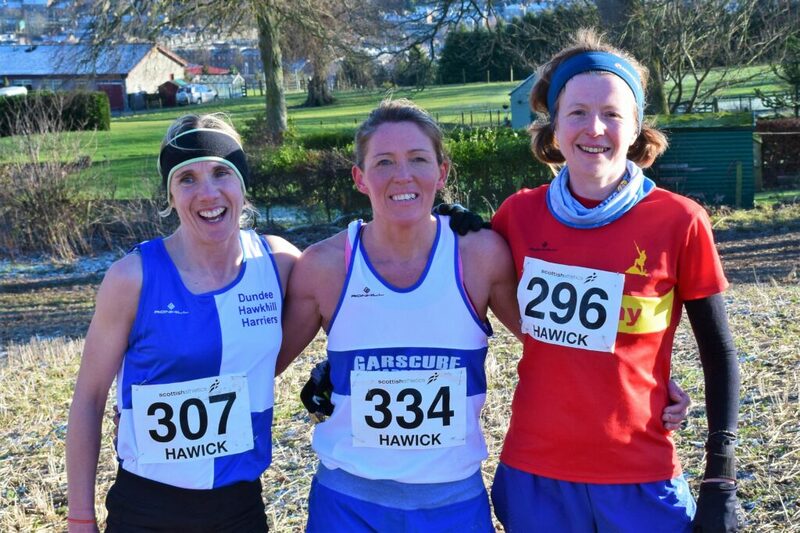 Garscube Harrier Lesley Chisholm landed the Scottish Masters XC title on a sunny afternoon in Hawick – making it four wins in five years for the Scotland international. 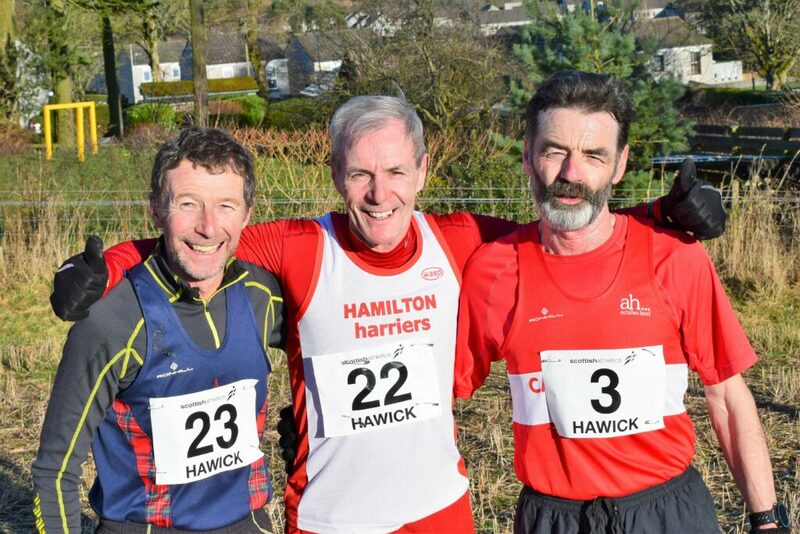 In the men’s race, Central AC runner Scott Brember became the first M45 to take victory in the M40-60 race for the first time since Kilbarchan’s Bobby Quinn some six years ago. Brember prevailed in an exciting finish in the sunshine in the Borders. 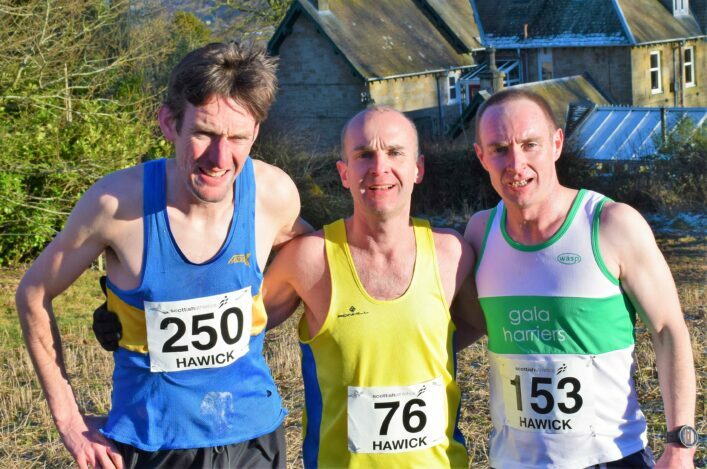 Title holder Jethro Lennox (Shettleston H) and Scott shared the lead after the first lap of the two -lap race over the hilly Hawick course. During the second lap Graeme Murdoch (Gala Harriers) moved into the lead and coming into the final field he was still leading with Brember close behind. But, over the final downhill sprint it was Scott who came through to become 2019 champion closely followed by first M40 Murdoch . Winner for the past two years, Lennox took bronze on this occasion. The team gold for M40+ went to Cambuslang Harriers with the same club retaining the M50+ team title. The other men’s Age Category gold medals were as follows: M50 Charlie Thompson (Cambuslang); M55 Colin Donnelly (Cambuslang); M60 Alastair Walker (Teviotdale); M65 Andrew McLinden (Hamilton); M70 Alex Sutherland (Inverness); M75 Bobby Young (Clydesdale); M80 Stephen Cromar (Dundee Hawkhill). 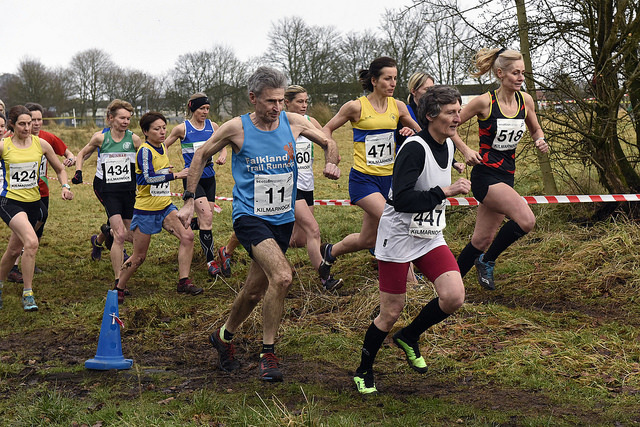 In the women’s race, Chisholm and 2018 champion Charlotte Morgan (Carnethy HRC) shared the lead after the first lap. During the second, Lesley went clear with Charlotte taking silver and Carol Parsons (Dundee Hawkhill) the bronze. It was a special day for Chisholm with her dad, Alex, taking silver medal in the V60 men’s race. Dundee Hawkhill Harriers won Women 40+ team gold, the first ever Masters women’s team medals of any colour for the Hawks. Edinburgh AC retained the Women’s 50+ team title. A sunny though cold day contrasted to the near blizzard conditions the 2014 Master’s Championships held over the same course. Teviotdale Harriers are again due thanks for all the work involved in hosting the championship; with thanks also to (local farmer) John Mercer for use of his fields.